All winter long we look forward to summer, and now that it’s here we should embrace it! Summer is an exciting time of year for food lovers: fresh fruits and vegetables abound, farmers’ markets appear and picnicking becomes the perfect pastime. Fortunately, President’s Choice® has provided great tips for creating the ultimate al fresco spread and a brand new PC® Chipotle Taco Salad recipe – a fun twist on the trendy taco that’s great on the go. Summer is the season to bring the inside out, to let loose your inner child, move meetings outdoors and embrace the al fresco dining experience. When it comes to gathering with loved ones under the sun or stars, nothing could be better than a classic picnic. From vintage-inspired hampers and blankets to fresh salads, loaded sandwiches and sweet snacks, this back-to-basics approach to dining is a fun and easy way to bring family and friends together. A recent survey by the President’s Choice® team uncovered the top outdoor dining preferences across the country. The research revealed that 26 per cent of Canadians love a picnic at the beach and prefer to dine al fresco at a campground (24 per cent). Others enjoy provincial parks (21 per cent). Regardless of where choose to enjoy a meal outdoors, the President’s Choice® team is devoted to inspiring your al fresco adventures, and have put together some tips for creating the ultimate picnic. By including a few subtle details like décor or great games, you can ensure that you and your loved ones will have a picnic-perfect day. The key to a truly successful picnic is thinking ahead. Take the time to consider what you’ll need to store, serve and savour your food, so you arrive at your site ready to enjoy it. Whether you’re planning a simple roadside pack n’ park or a romantic dinner under the stars, attention to detail means you can focus on your friends and family, instead of worrying about logistics. Picnic classics are classics for a reason: crisp salads, fresh sandwiches and bite-sized fruits and vegetables are easy to pack, easy to share and especially easy to enjoy. But if you want to give your picnic a little extra pizzazz, don’t be afraid to try a twist on these standard snacks. Did you know that 41 per cent of Canadians say that dips are part of their ideal al fresco dining experience? Try spreading your sandwiches with exotic flavours like PC® Olive & Sweet Piquante Pepper Kefir Dip and Spread. Take your al fresco meal to the next level with a little outdoor décor. Lay your table on a soft, patterned blanket and add a pop of colour with a set of sweet serviettes or some fresh-picked flowers. These little designer details will show your loved ones you care and transform any beach or park into an intimate dining space. Extend your picnic beyond the basic meal by packing small snacks you can enjoy all day. A mix of savouries, like PC® Jalapeño Cheddar Flavour Popcorn, and sweets (try PC® S’mores Dessert Cookies for something really fun) keeps stomachs satisfied and means you can comfortably spend the whole day out of doors. To keep everybody on their toes, try planning a few fun activities you can enjoy as a group. Toss a Frisbee around or have a good old fashioned egg-and-spoon race – having a few games in your back pocket is a great way to surprise your guests and get everyone excited about a summer day out. 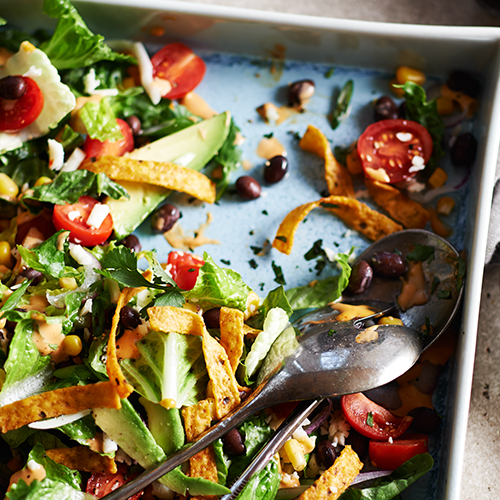 This modern Tex-Mex dish is not your average picnic salad. Plump and juicy PC® Grape Tomatoes, crunch romaine and sweet corn kernels will appeal to the more than half of Torontonians who say raw veggies are part of their perfect outdoor meal. 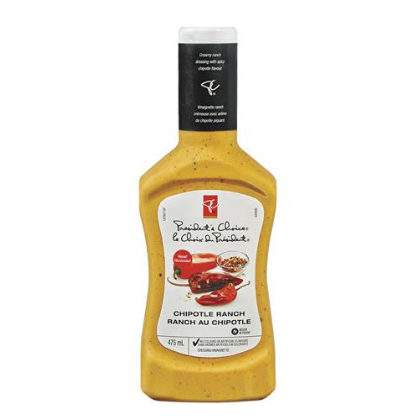 Tossed in PC® Chipotle Ranch Dressing, this hearty salad has a fresh, tangy flavour that will leave you wanting more. 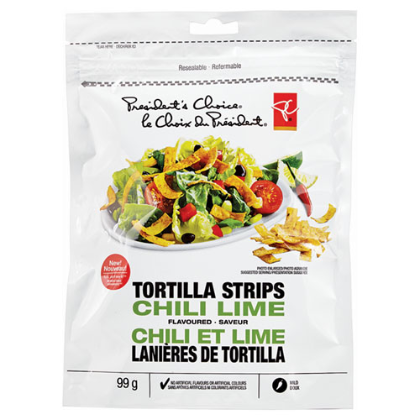 To maintain crunch, add the PC® Chili Lime Flavoured Tortilla Strips just before serving. Olé! Toss together lettuce, tomatoes, beans, corn, red onion, 1/4 cup of the green onion, 1/4 cup of the coriander and the cheese. Transfer to travel serving container with lid and transport to picnic destination. Top with remaining green onion, coriander and tortilla strips and dressing once at picnic destination. Replace container lid and shake to combine. Remove lid and garnish with avocado. TIP: Bring chopped barbecued chicken in a separate container for guests to top their salads with if desired. To help you embrace the outdoors, you can enter to try and win. Disclosure: President’s Choice has provided the prize for this contest. The contest is not otherwise endorsed, designed and/or administered by or associated with President’s Choice. By entering the following contest you are accepting that, if you win, your contact information will be shared with the PR and shipping agency for the purpose of mailing your prize. 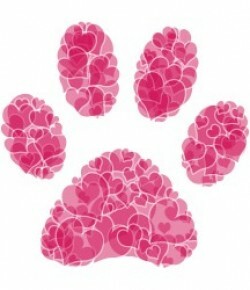 Please allow 4-6 weeks from the contest closure date to receive your prize. Prepare you meal in advance. Make sure you have a good cooler and ice packs for food that may go off quickly. I will be implementing the tip give games a go as this is a great way to get everyone involved while having fun doing it. I also like the tip have fun with your food as I like to change it up what I serve at a picnic. I think the tip of bringing a number of snacks is one that I’ll use this summer! I love the idea of dressing up the picnic space with décor!! Being better prepared is a tip I will use more this summer. my tip is to have a great selection of food and drinks, and make sure to have good music and some games!! The tip I will be implementing is bringing a snack selection. I will probably bring some PC Loaded Potato Chips. I love those! Definitely be prepared. If you’re prepared, you can have more fun! Be prepared. I want to make sure I have everything I need for the eating part of the picnic as well as for activities and emergencies. I like the idea ‘Set the Scene’ I’ll try that next time using wild flowers from the fields and colourful serviettes. I will make sure that I spend extra time outside to enjoy the beautiful sunshine. My tip is to stay hydrated!! So important! I will be implementing the Be Prepared tip. I will be doing Bring a Snack Selection – that way if we are having a good time we have snacks to keep us going. I never thought to set the scene so I will be using that particular tip. My tip is to dress your salad just before eating it. “Have Fun with Food” That is an excellent tip. Will remember that one. I’ll be implementing the Bring a Snack Selection tip! My tip is to prepare as much as possible(food, ice, games) the day before. I like the bite sized fruit idea. Going to do that for everything. Give Games a Go is my fave tip, will certainly add some fun! Selection is key to the success of my picnics and I pride myself on it! Love the little salads that loblaws carries and all the different cheese and crackers. The tip I’ll be doing is bringing snack selections. So there is something for everyone. I will be having fun with food!! I will definitely be trying President’s Choice® Chipotle Taco Salad. I will be implementing Have Fun with Food (I love doing this) and be prepared! Have a wonderful summer! I will be implementing the snack selection. making sure I have a lil something for everyone. I love the idea of playing games we haven’t done that since we were kids! The give games a go. Sometimes I’m so busy serving everyone that the games get set aside. I know my kids would like it. be careful about keeping food cool and safe. I always freeze part of any picnic food to keep the rest safe in my cooler. I make lots of homemade granola bars and freeze them they travel well ! Bring a snack selection. It’s always good to bring extra snacks because sometimes you end up staying longer than planned. Bring a Snack Selection is something I will be implementing! I am vigilant about sunblock! My son will even remind us if we forget!! Great tips! Having fun with my food! I want to try new things this summer. The tip I will be implementing is to make a list of necessities and pack them so that you have what you need when you arrive! Snacks are also important to remember especially for the little ones. Bring a Snack Selection is something I will be implementing! It is also important to make a list so you don’t forget something. The tip I will use most is staying hydrated! Buy PC Cake Pops for the ultimate treat for young and old alike! I’ll be making sure I bring some games. We usually just bring food to a picnic but some planned activities would be fun too.